17 September 2012 – Clint Eastwood, former mayor of Carmel, California and a Libertarian/Republican, spoke with Ellen Degeneres on her show Ellen. Ellen begins by bringing up his empty chair address at the Republican National Convention. Ellen: Because you made no apologies … you spoke at the convention, you got a lot of attention for that, but you don’t care, do you? 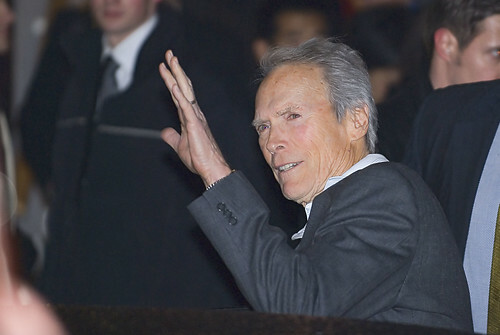 Eastwood: No (applause and whistles from audience) … It was an interesting reaction, actually. The Democrats who were watching thought I was going senile, and the Republicans knew I was (laughter from audience). I was actually just trying to enjoy myself. Ellen: And now you have called yourself a Libertarian. Is that right? Is that correct? Eastwood: Yeah, well Libertarian values. That’s where Republicans used to be when they were saving money and everything. Ellen: Uhm-hm. What is that? Explain Libertarian to people. Eastwood: Libertarian means that you’re socially liberal, leave everybody alone, but you believe in fiscal responsibility and you believe in government staying out of your life (applause from audience) … I thought so, too.